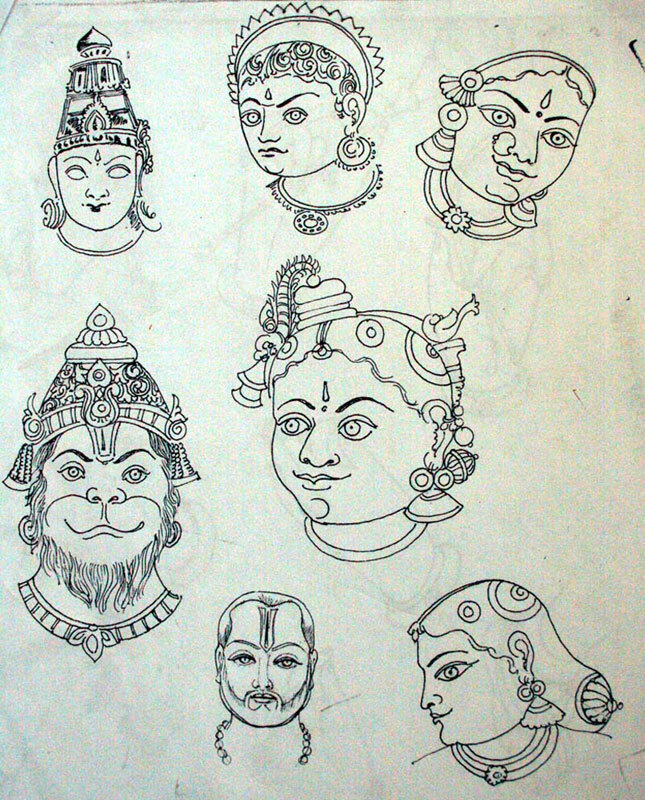 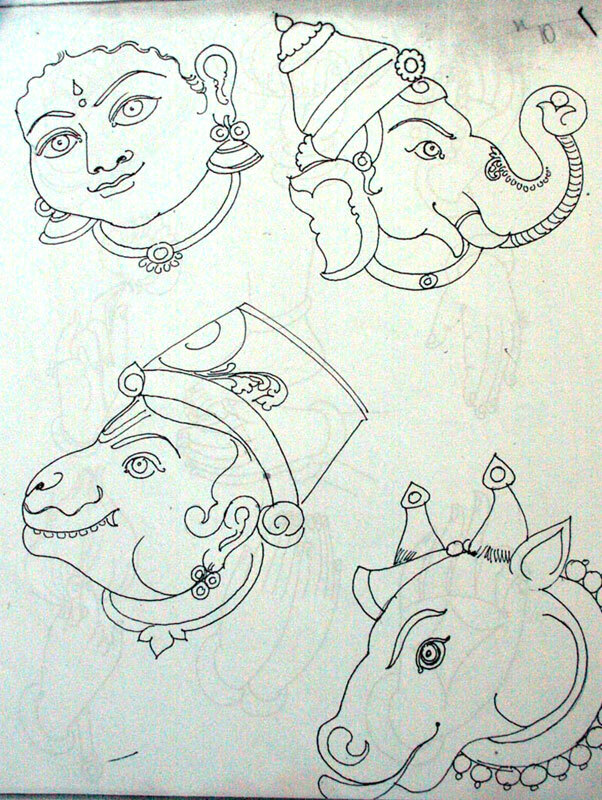 The figures have features like fish shaped eye, round protruded chin, typical Mysore royal hairdo and drapping style in sarees, depiction of royal jewellery, rounded face, Mysore turban. 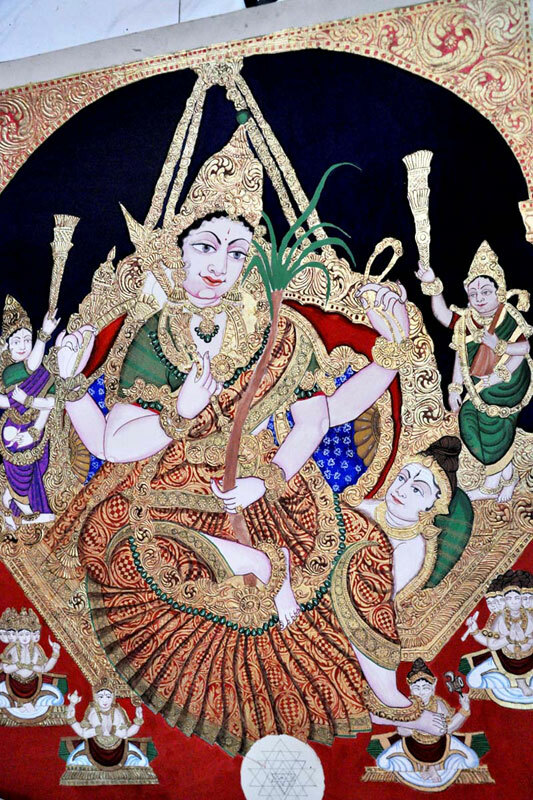 They depict sugarcane as bow and arrow in the pictures of Raja - Rajeshwari. 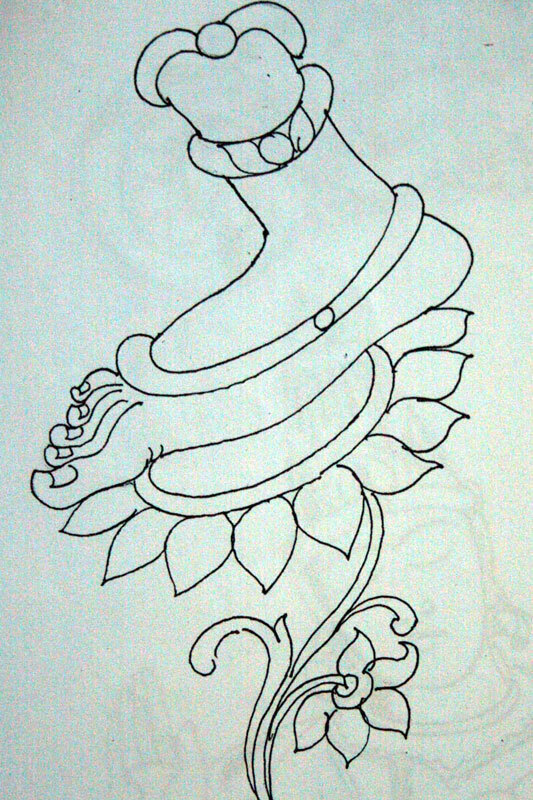 The foot of goddesses is placed on flower in order to show the respect. 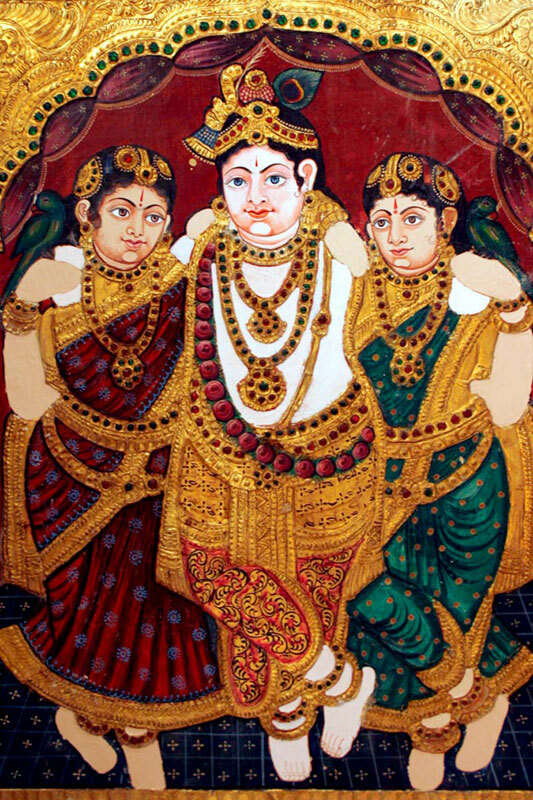 And the architectural backgrounds of many paintings are faithful copies of the architectural features of the Mysore palace. 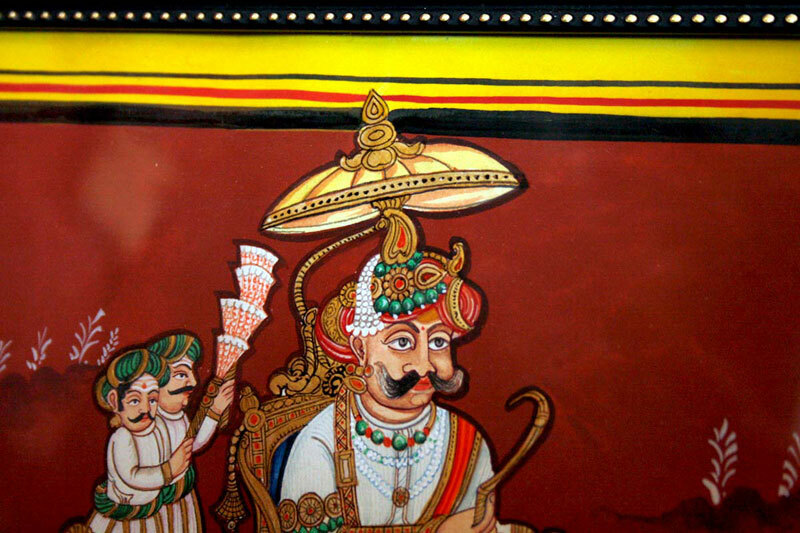 There are many paintings in which the subjects they have shown are based on shlokas that are mentioned in the book named “Devatahanama kusumamanjari” written by the king of Mysore “Mummadi Krishnaraja Wodeyar”. 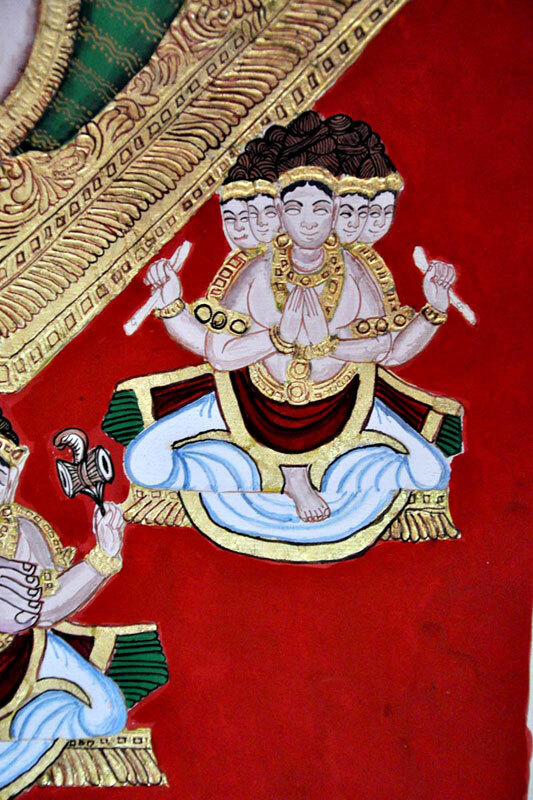 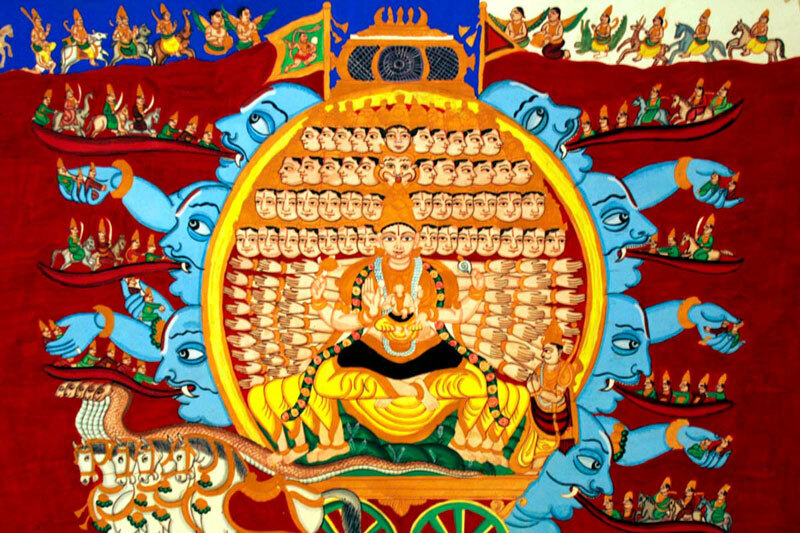 “Krishna Sakhis” is the example of painting in which the backside of the figure is shown. 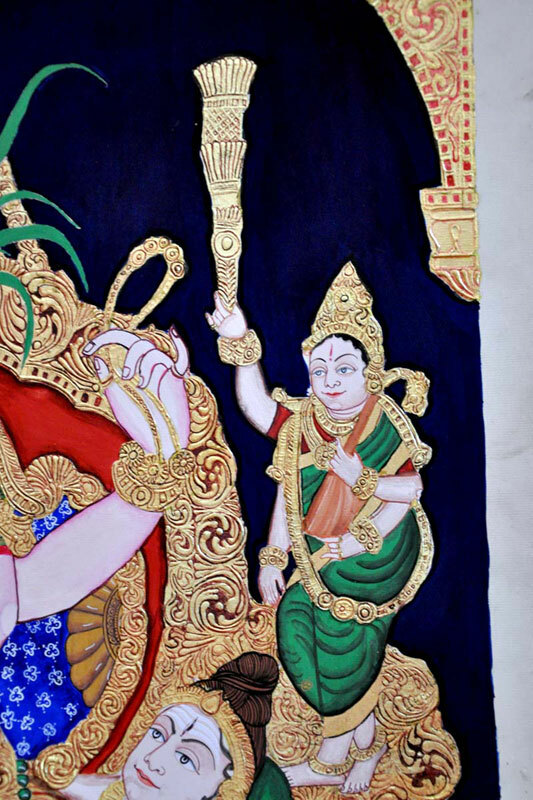 Another example “Mantramayi Rama” where the artist has made the figure of Shri Rama, in which they have made the outline by writing Rama in Kannada. 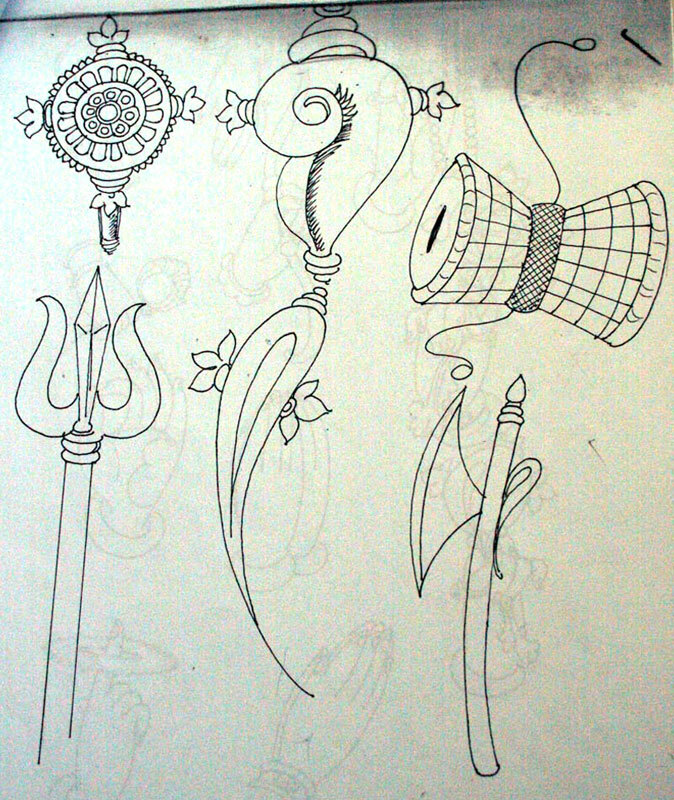 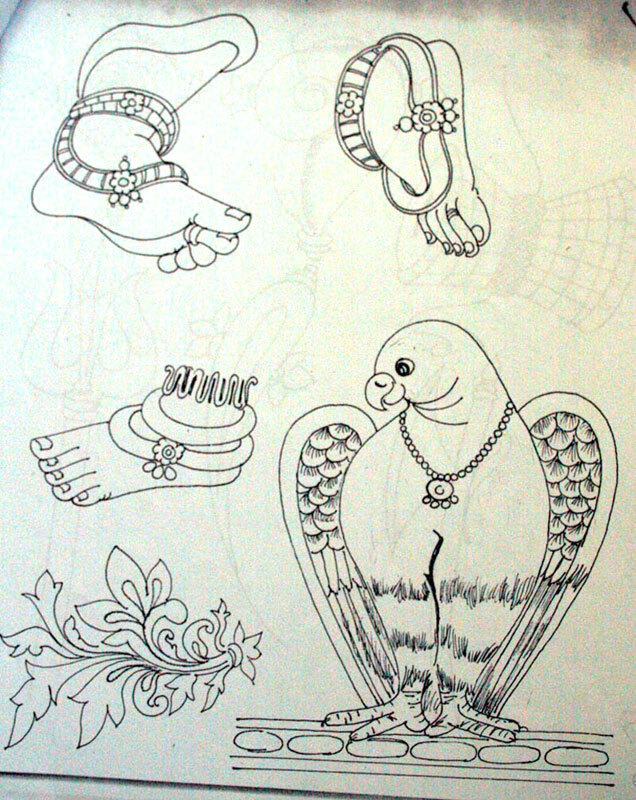 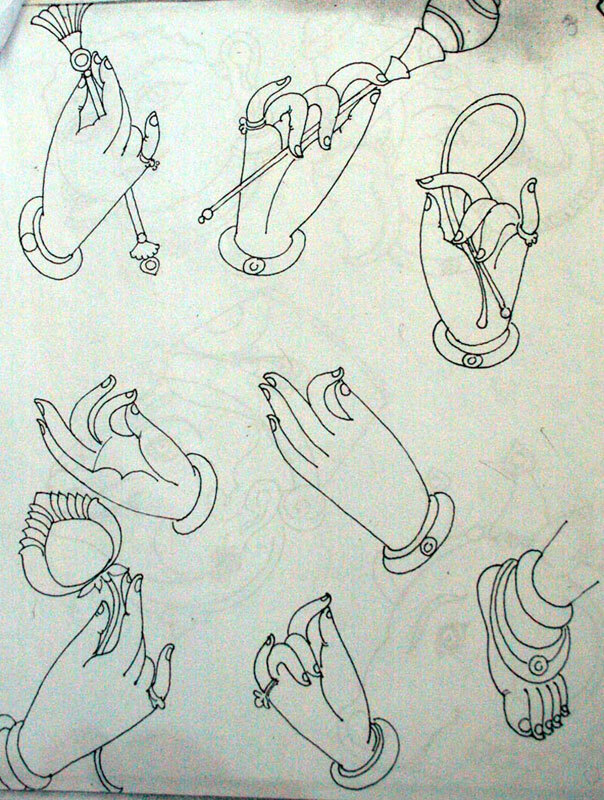 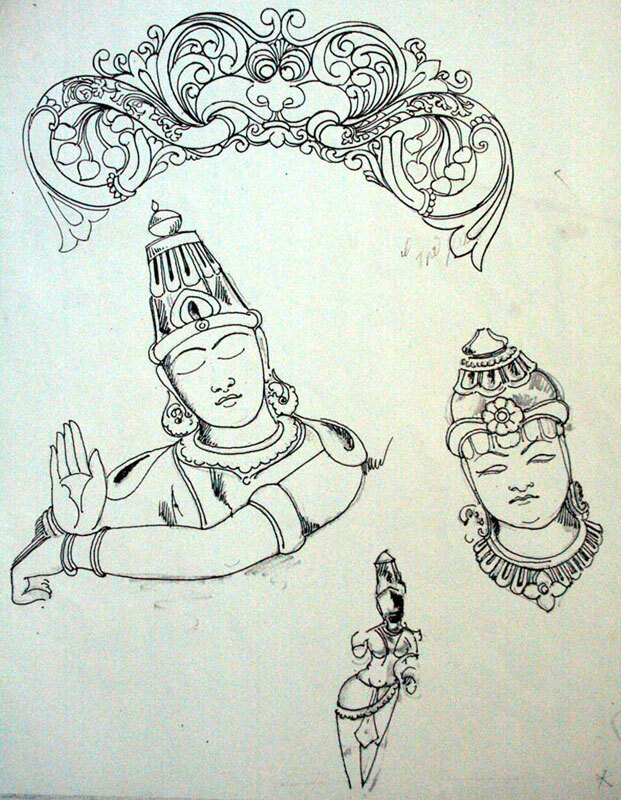 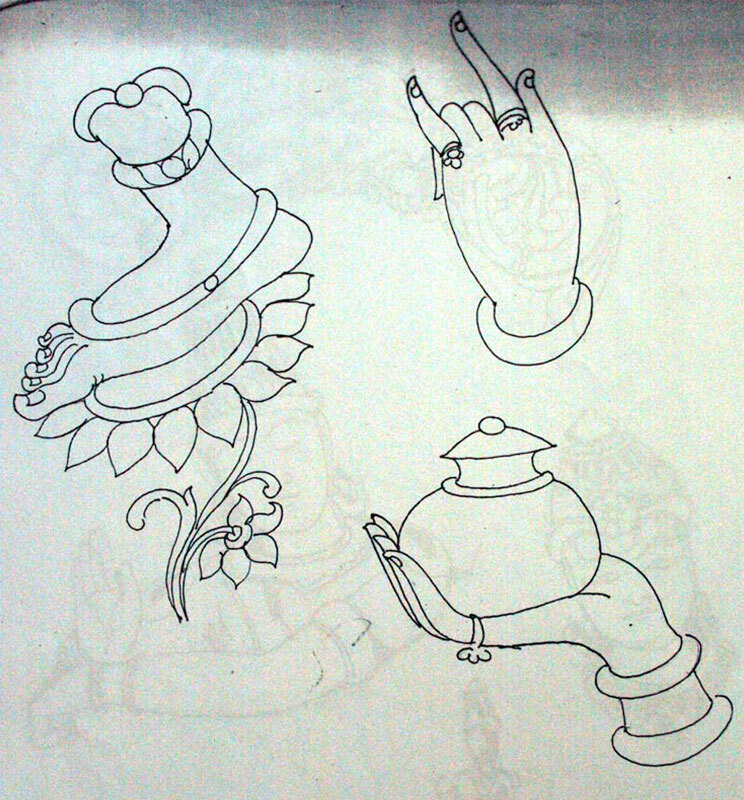 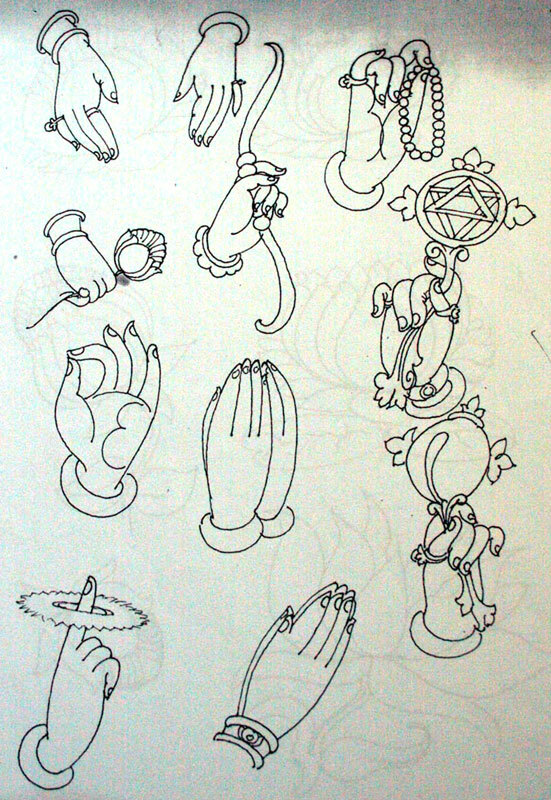 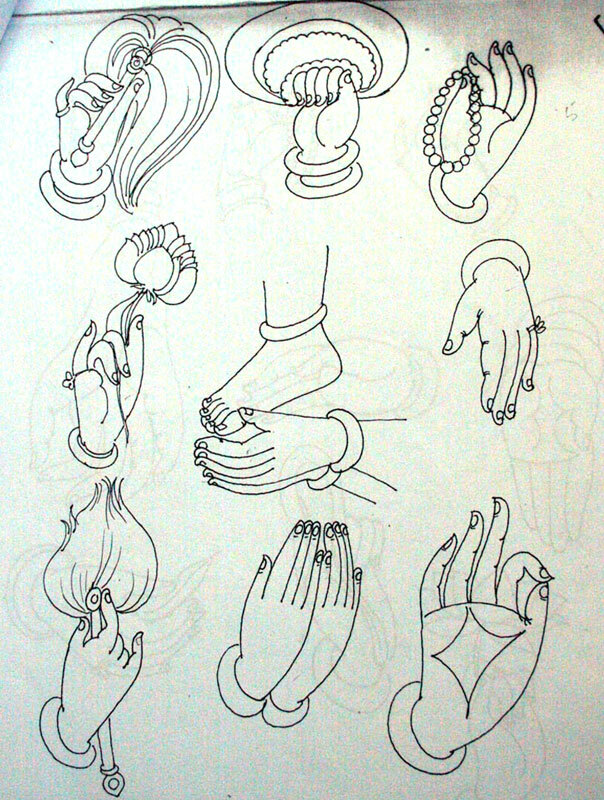 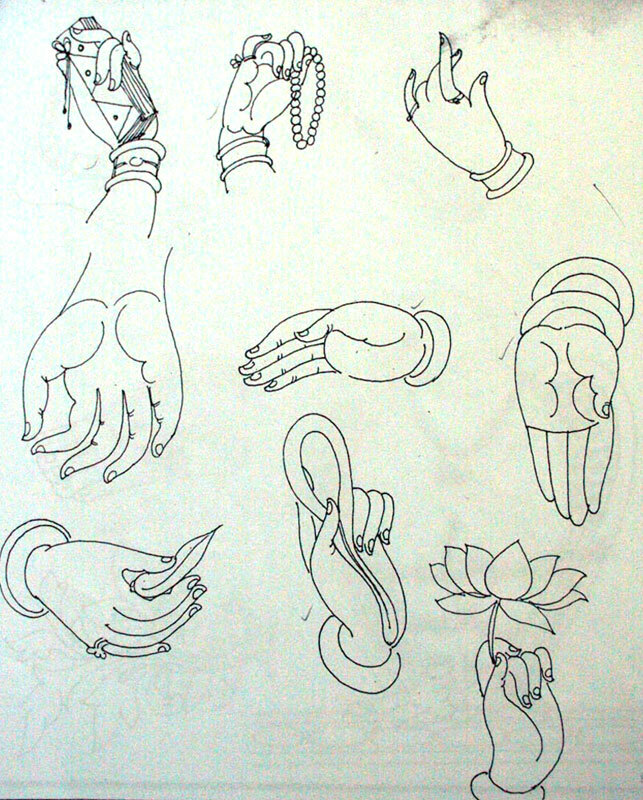 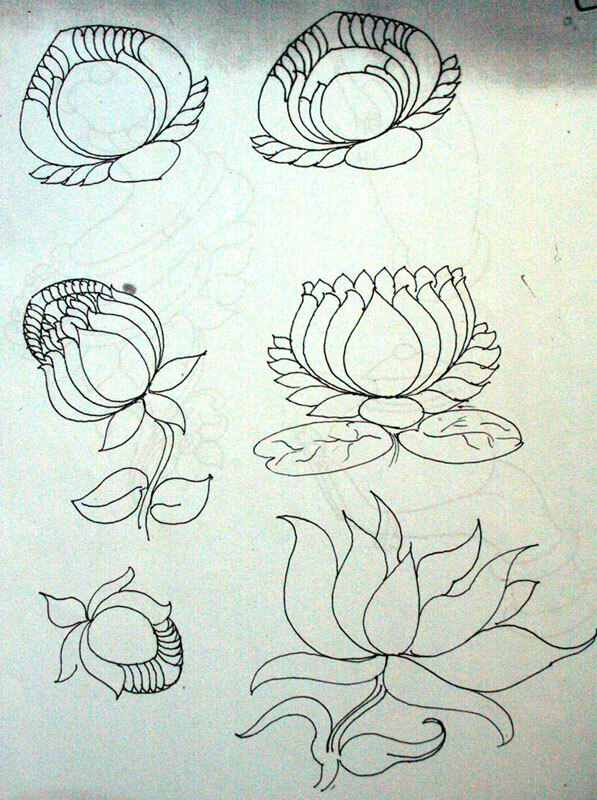 Schematic themes of Tirupati, Sringapatna, Kanchipuram, Srikakulam, Kalhasti etc. 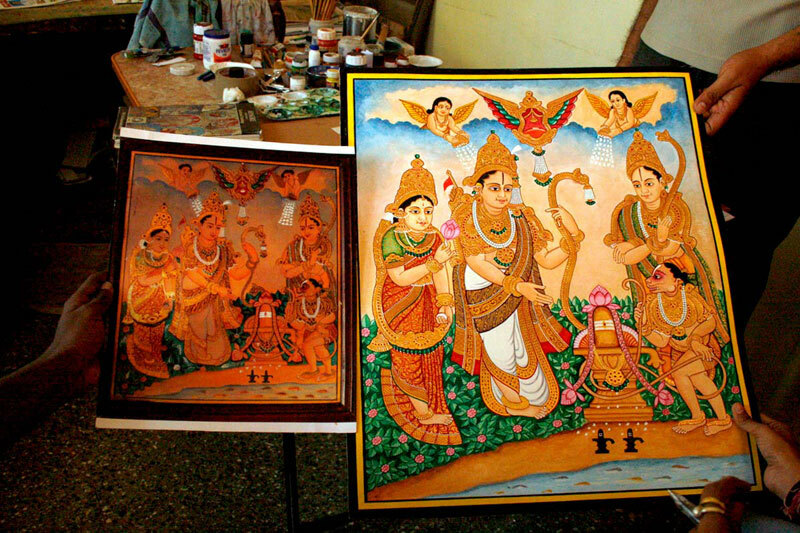 provided the base for the paintings in earlier times.